A Top 20 Best seller at Island Books non-fiction for six years running! and last year it was #16. Mercer Island History: From Haunted Wilderness to Coveted Community is the all-new, photo-filled hardback history of Mercer Island by Jane Meyer Brahm, based on the 1989 history by Judy Gellatly. As the only history authorized by the Mercer Island Historical Society, it is an essential read for anybody who's ever lived on Mercer Island, aspired to live there, or wondered about it while crossing it on I-90. A "readable and witty rendition of the Island's past in a 21st-century format," says Mary Grady of the Mercer Island Reporter. Find out what you've been missing--here's how! It's available exclusively from Island Books; visit them at 3014 78th Ave SE. Or you can call (206) 232-6920 or email them at info@mercerislandbooks.com to order. Support our local bookstore! 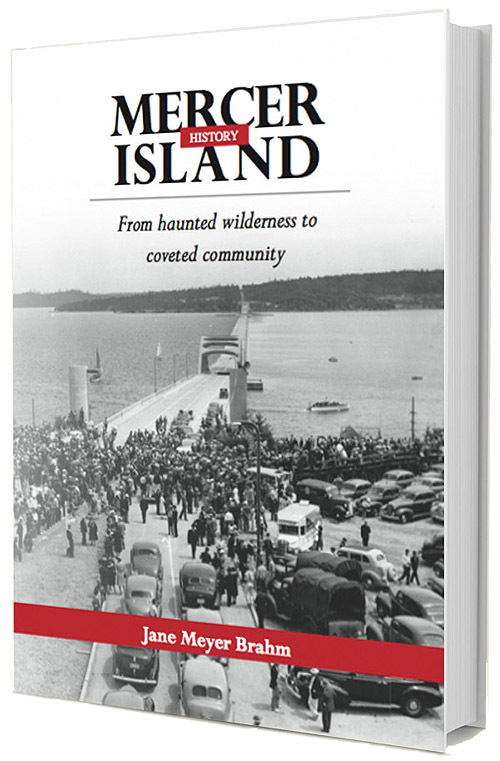 Printed in hardcover, 80% of the cover price directly benefits the Mercer Island Historical Society.